Macally has always been one of the first companies to get iOS device accessories onto the market. Their products tend to be simple, yet extremely functional. Their latest offerings for the iPad 2, the SmartMate Protective Case and the MagStand2 Cabinet Mount and Viewing Stand, do what they do and they do it well. 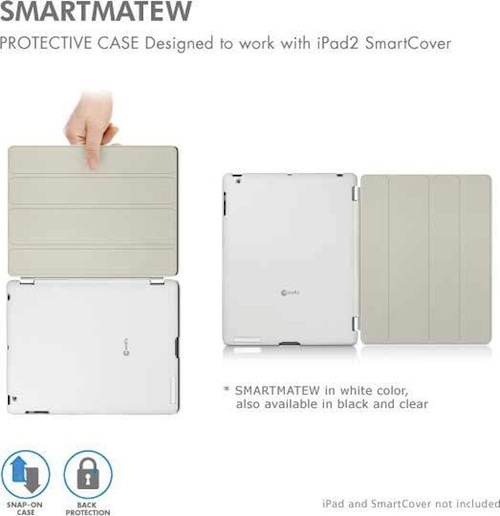 The SmartMate case is a protective, hard-plastic case that simply snaps onto your iPad 2. The most noteworthy exception to the norm here is that the case is designed to work in conjunction with Apple’s Smart Cover. Most hard cases don’t allow you to do so, and having that option is great. I love using Apple’s Smart Cover and I’m always annoyed when a case won’t work with it. 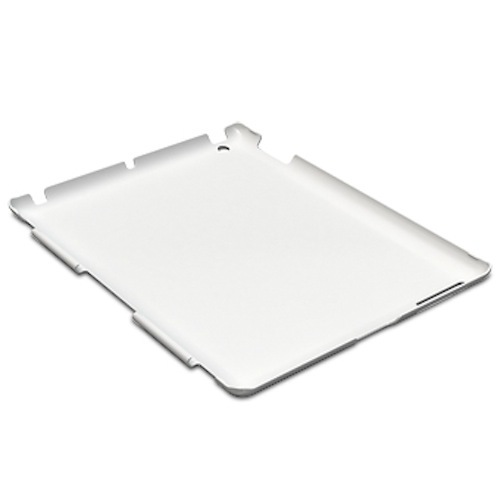 The SmartMate does a great job of protecting your iPad 2 from dings and scratches, just as it’s designed to do. You actually snap the case onto your iPad 2 with the Smart Cover already in place, locking the SmartMate, Smart Cover, and iPad 2 into one cohesive unit. If you’re the type of person who wants to take your Smart Cover off, you’re out of luck. After using the SmartMate for several days, I didn’t find this to be much of an issue for me. If there is one product that really fills a niche for me in my home, Macally’s MagStand2 Cabinet Mount is it. I use this product on a daily basis and absolutely love it. 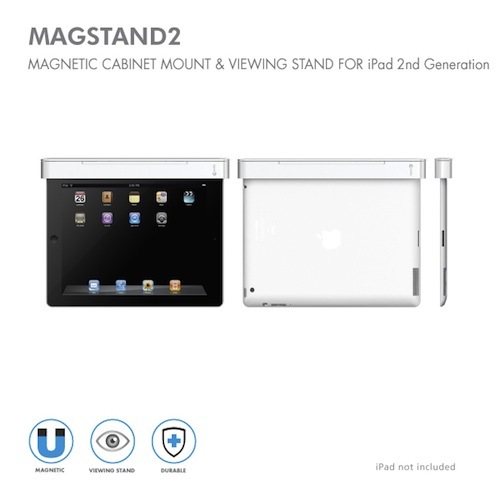 The MagStand2 can be simply mounted beneath any kitchen cabinet with 2 screws. With the case off your iPad 2, a set of strong magnets holds it in place in a slot in the MagStand2. I wish you could use the MagStand with a covered iPad, but I can see why close contact with the magnets is important for the best grip. The first time I slid my iPad 2 into the mount, I did so with some trepidation. Having used the product for several months, I have yet to see it ever fall. In fact, when removing your iPad 2 from the MagStand2, you have to pull down with a fair amount of force. These magnets are really strong! I’ve mounted the MagStand2 beneath a kitchen cabinet and use it all the time while cooking or spending time there. I use Time Warner Cable’s TWCable TV app to watch cable television programs, or I’ll watch a movie by streaming it from my upstairs iMac or with the Netflix app. I also use it with the Epicurious app when cooking from a recipe. 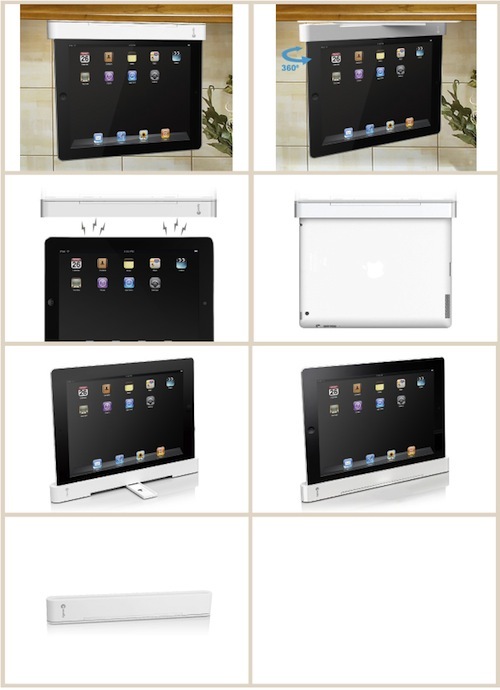 The MagStand positions the iPad 2 with its volume controls at the bottom edge, providing easy access. You can also swivel the MagStand2 on its mount to provide viewing from any angle. When your iPad 2 is in place on the MagStand2, you need to be careful about tapping your screen. There is some wobble on the mount when doing so and I can imagine that a heavy handed type could possibly break the mount if they’re not careful. Macally’s SmartMate Protective Case and MagStand2 Cabinet Mount are great products that are well-designed to fit their purposes. If you’d like to give your iPad 2 an extra layer of protection while still utilizing your Smart Cover, or if you’re in the market for something to make your experience in the kitchen or workshop even more enjoyable, then take a look at Macally’s products. I was too at first. You have to use significant force to remove it from the bracket. The magnets are extremely strong. I’ve never had it fall out.